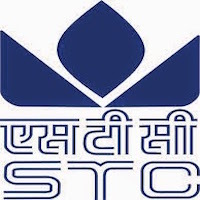 Online Application Details for State Trading Corporation of India Limited STC Recruitment of 1 Company Secretary and 1 Joint General Manager is given below. Application form and duly attested documents are to be sent to Post Box No. DEL 231301, The Times of India, Bahadur Shah Zafar Marg, New Delhi – 110103 OR sent email to careers@stc.gov.in. In envelope super scribed with 'Application for the Post of Post Name'.